TV Peru expands its distribution with Intelsat. Peru's National Television and Radio Institute (TV Peru) has signed a new, enhanced agreement with Intelsat to enhance its Digital Terrestrial Television (DTT) offering. After several years of the agreement, TV Peru renewed the services of C bands and Ku band in Intelsat 14 at15° E.
TV Peru will rely on Intelsat 14 to distribute content to its television stations and affiliates in Peru, as well as sports and news broadcasts. The broadcaster also plans to launch an international HD channel in Peru with Intelsat 11 at17° E, which will allow it to expand distribution of its content to other parts of South America, North America and other parts of the world. from Europe. 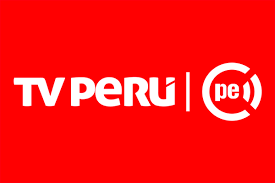 "TV Peru needs a reliable and comprehensive broadcasting solution to launch its international HD program," said Hugo Coya, director-general of the Peruvian National Institute for Radio and Television. "Intelsat is a long-standing and reliable partner and the obvious choice to distribute our international TV channel" Peru International "to new audiences in America and Europe - the exclusive two-satellite solution and managed service enlarge quickly and cost-effectively. " Rob Cerbone, vice president and general manager of Intelsat Media, added, "The unprecedented reach of our video neighbourhoods in Latin America enables media companies like TV Peru to develop their businesses economically." With the flexibility, reliability and efficiency of our global network infrastructure, TV Peru can launch a new international channel, extend its reach and excite audiences across three continents with superior content. Outstanding quality and entertainment ".